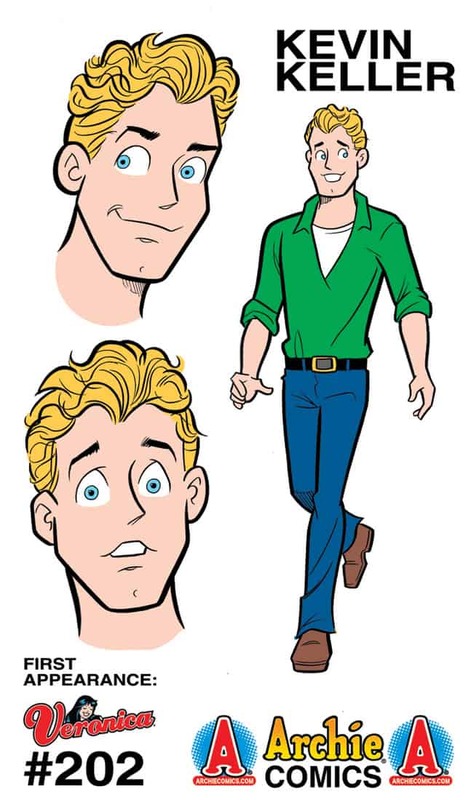 SP: How did the higher ups at Archie Comics react when they learned you wanted to introduce a gay character to the series? DP: They were fully on board. This couldn't have happened without them. SP: Is there talk of giving Kevin a romantic interest? DP: Right now, I'm still getting Kevin through the door in Riverdale! He still has to start school and meet a lot more or our cast of characters. And he does have friends from his hometown that may be brought in. SP: You've said that you're trying to showcase the contemporary and diverse world of Archie. What other kinds of diverse people can we expect to see introduced in the pages of the comic book series in the future? DP: Everybody. Different nationalities, faiths. The door is open to everyone. SP: Have you or anyone at Archie Comics received criticism since the news was released that a gay character would be introduced into the Archie Comics world? DP: The response has been extremely positive. For every negative comment, there are a hundred positive ones. We seem to be in a much more accepting place in society, which is a step forward for every kid out there who may feel like an outsider. There's a place for you in this world, including Riverdale!